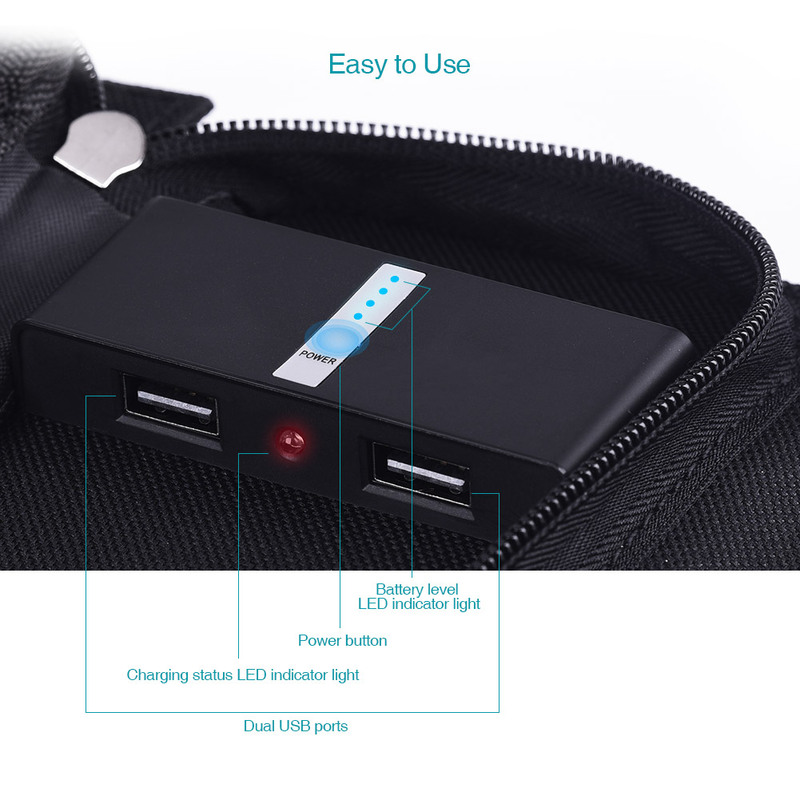 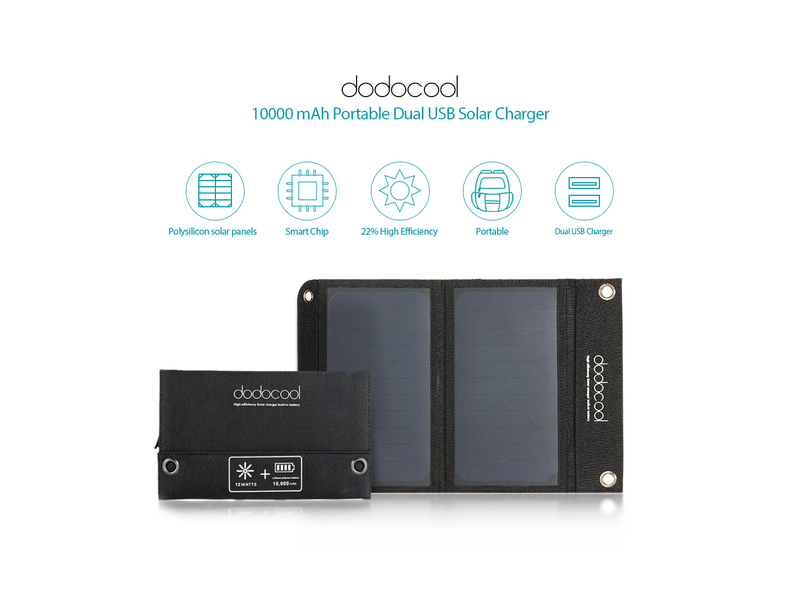 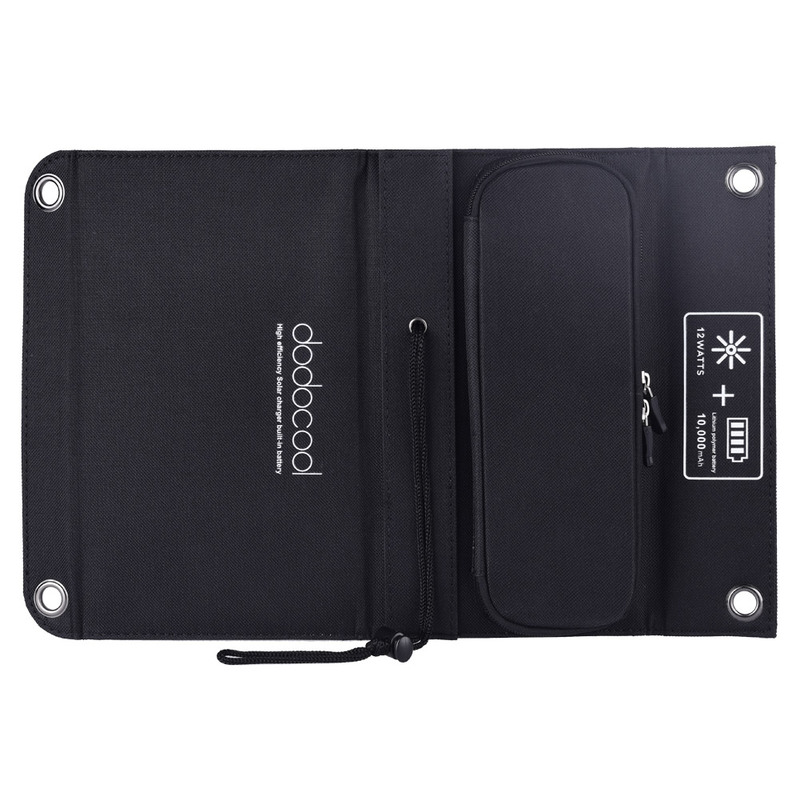 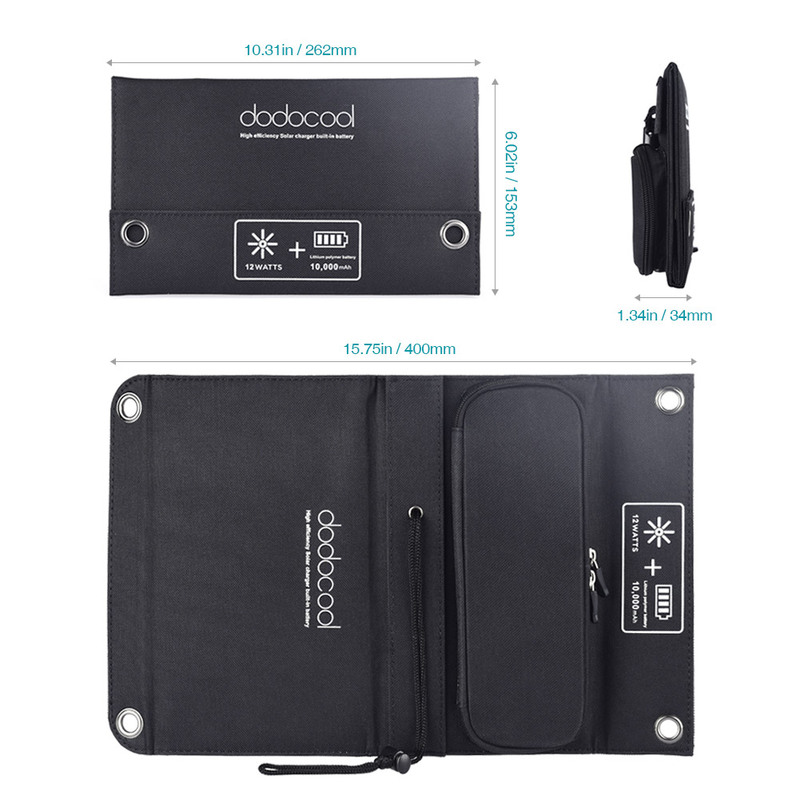 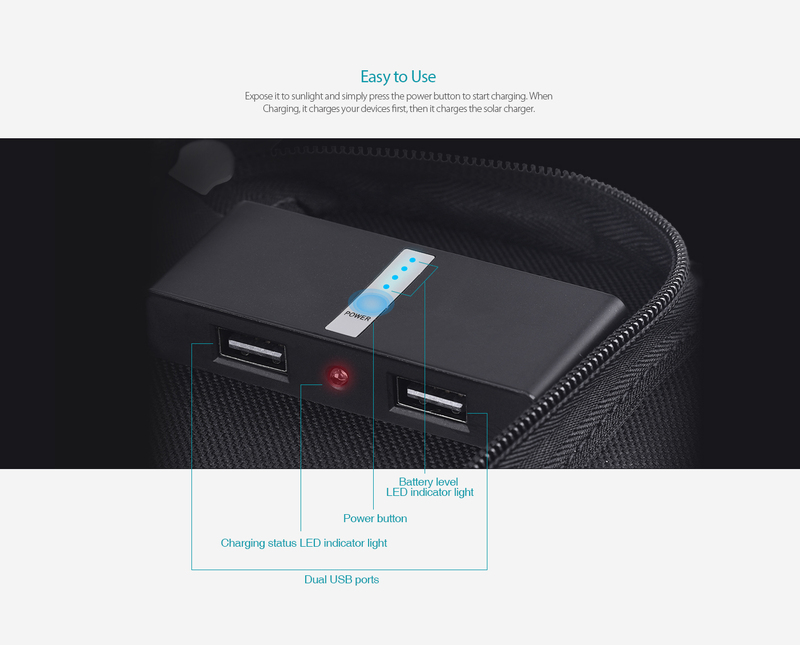 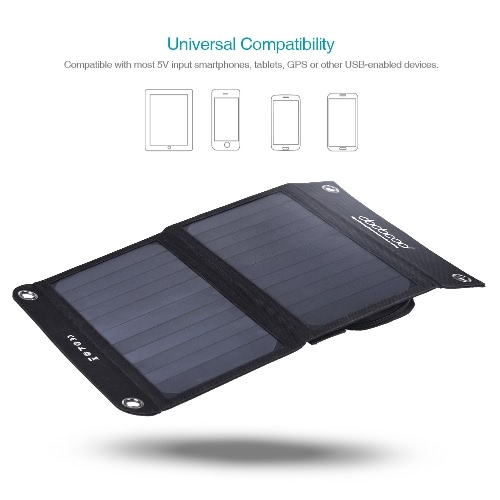 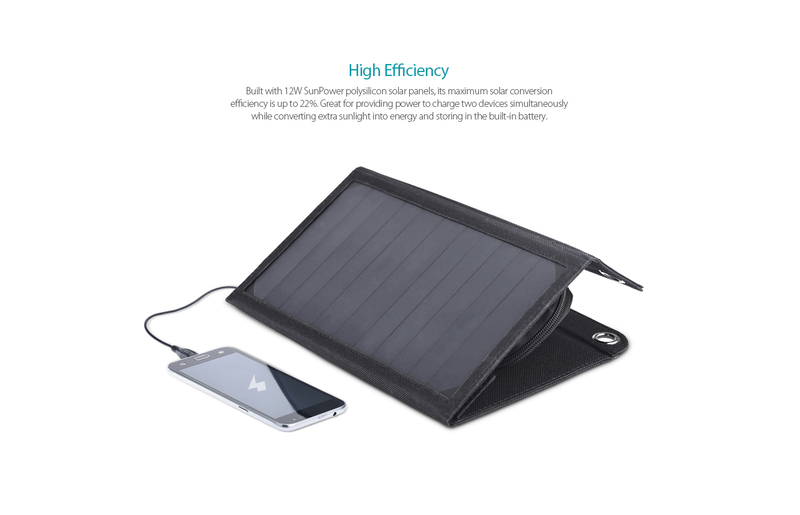 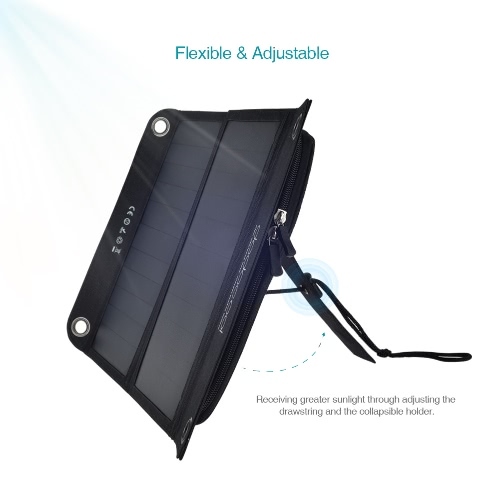 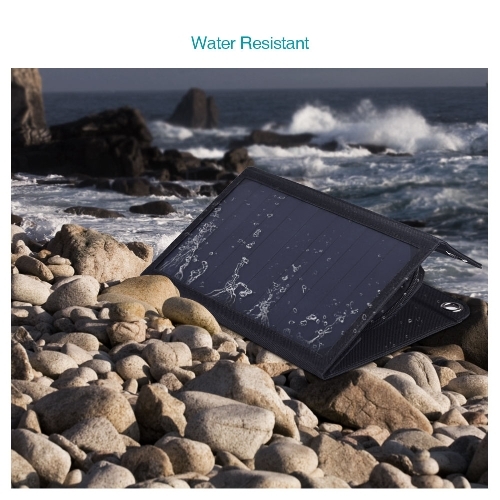 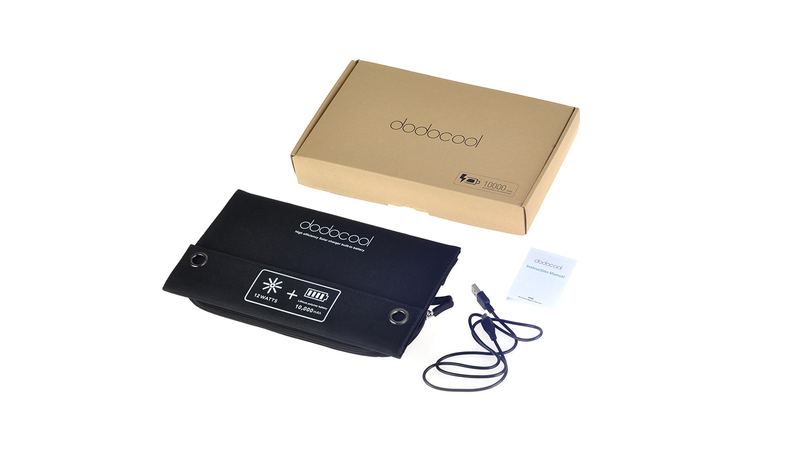 dodocool 12W Portable Dual USB Solar Charger comes with a built-in 10000 mAh rechargeable lithium polymer battery. 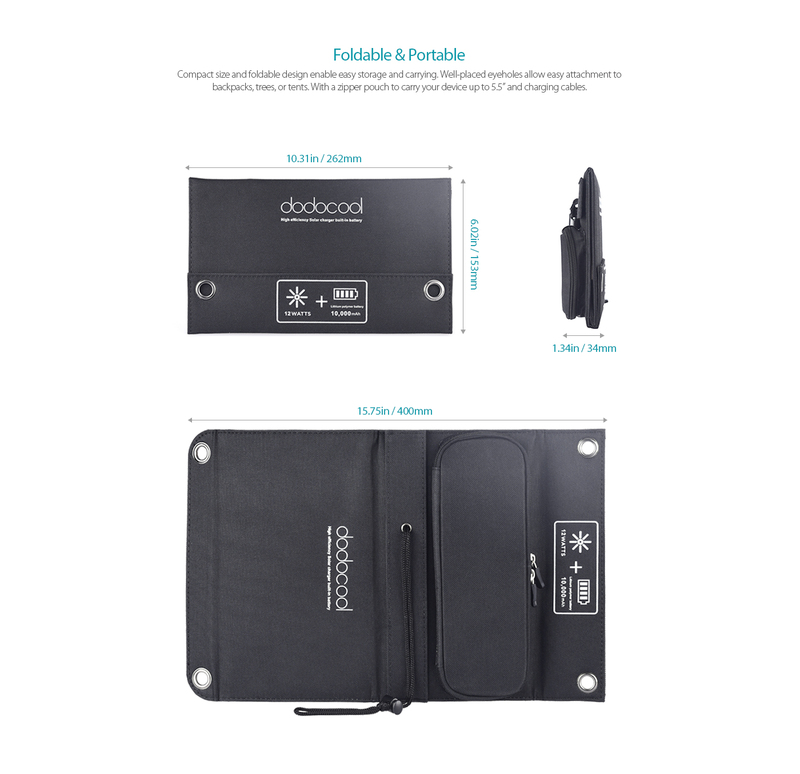 Compact size and foldable design makes it easily fits into your backpack. You could charge your devices while enjoying hiking, trekking or other outdoor activities. Built with 12W SunPower polysilicon solar panels, its maximum solar conversion efficiency is up to 22%. Great for providing power to charge two devices simultaneously while converting extra sunlight into energy and storing in the built-in battery. 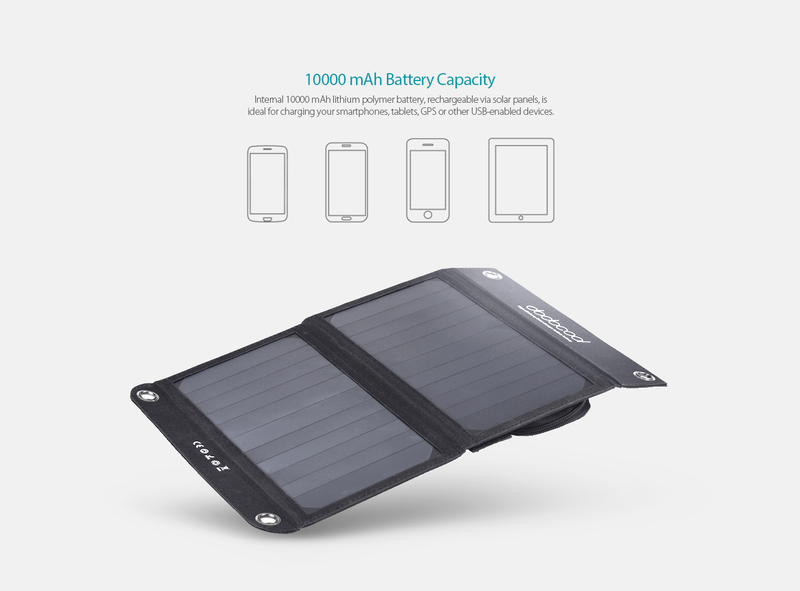 Internal 10000 mAh lithium polymer battery, rechargeable via solar panels, is ideal for charging your smartphones, tablets, GPS or other USB-enabled devices. 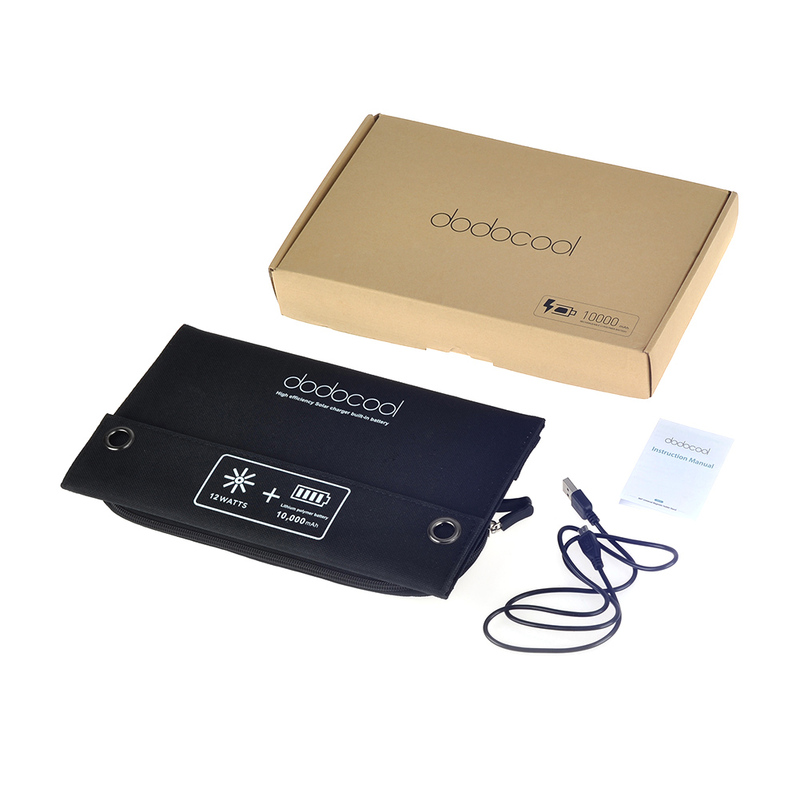 With 4 LED lights to indicate battery levels. 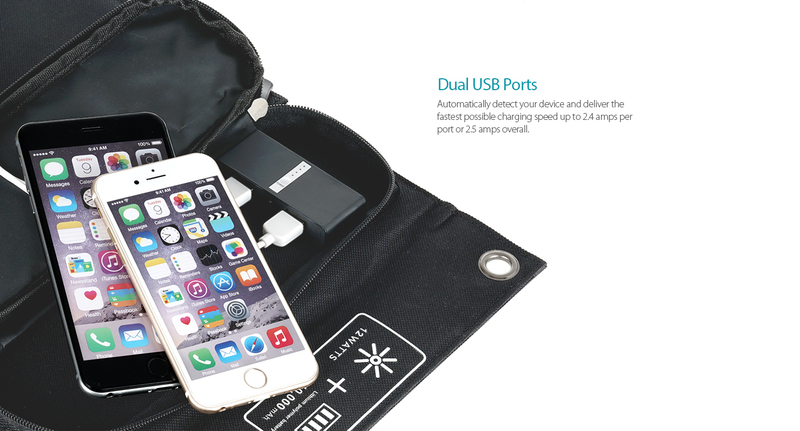 Automatically detect your device and deliver the fastest possible charging speed up to 2.1 amps per port or 2.1 amps overall. 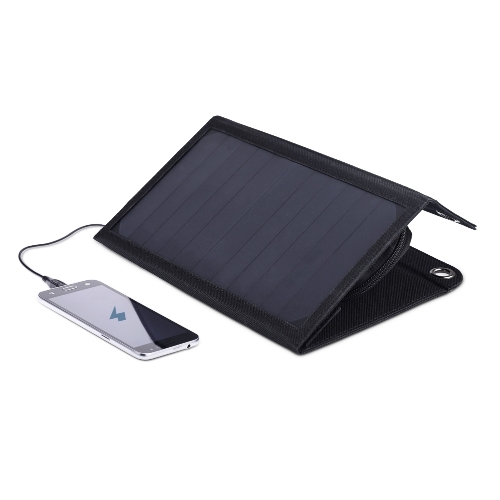 During solar charging, it charges connected devices first. 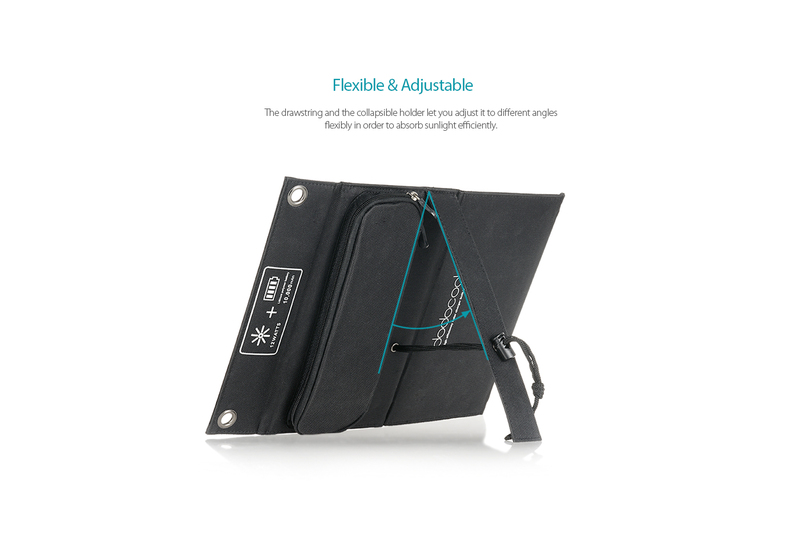 Compact size and foldable design enable easy storage and carrying. 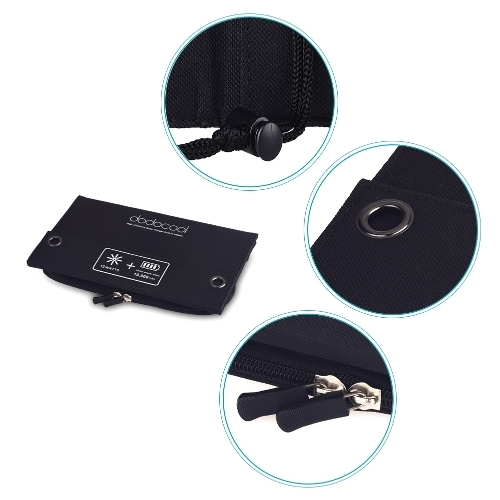 Well-placed eyelets allow easy attachment to backpacks, trees, or tents. 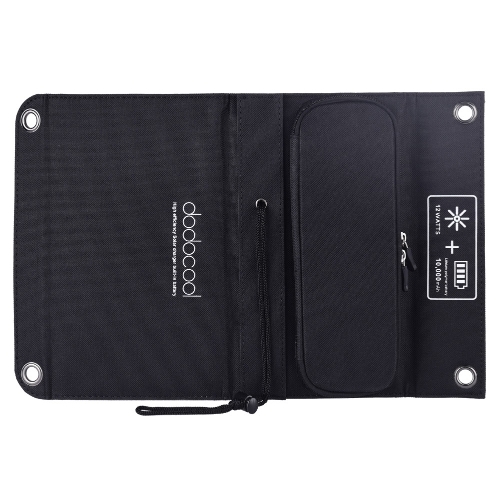 The sewn-on zipper storage pouch provides a convenient place to hold your device and USB charging cables, and keeps your device out of the wind or direct sun while charging. 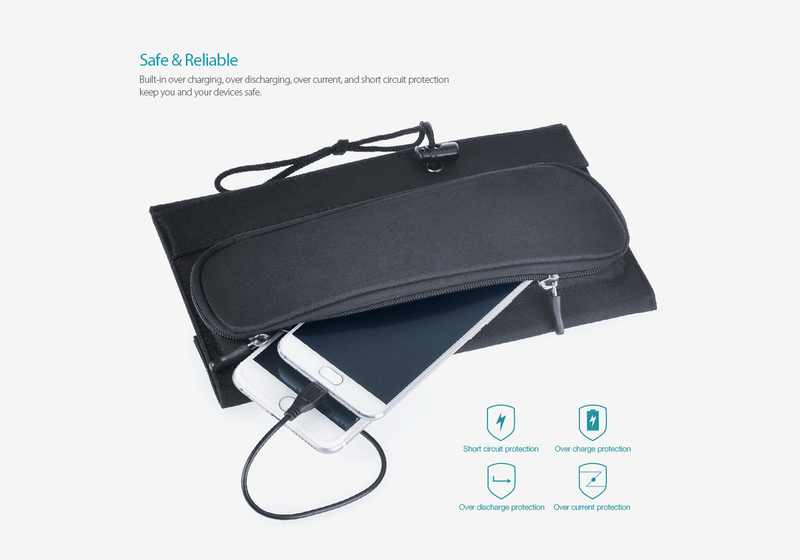 Built-in over charging, over discharging, over current, and short circuit protection keep you and your devices safe. 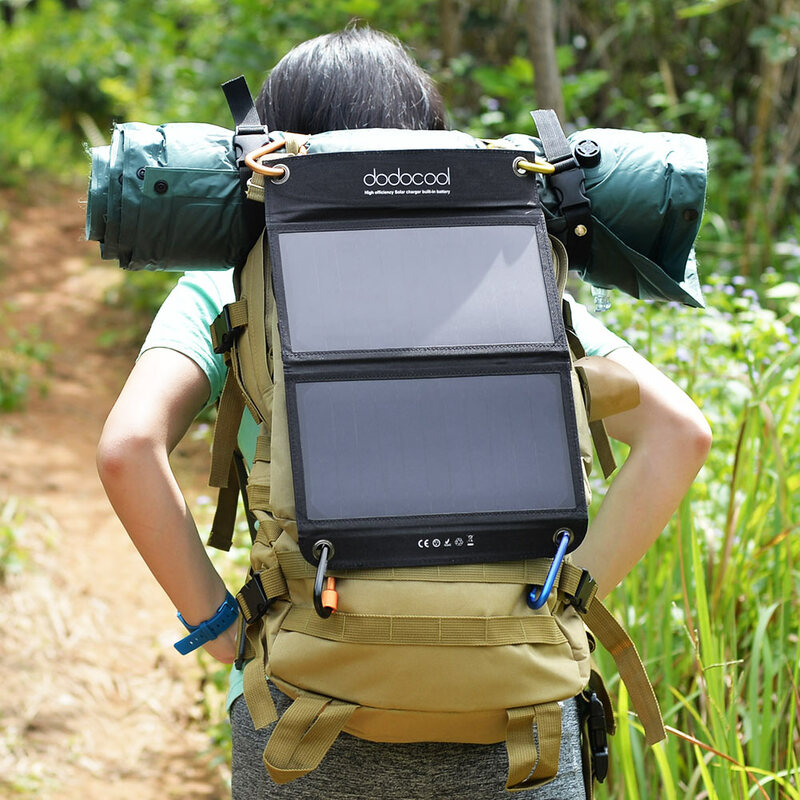 The drawstring and the collapsible holder let you adjust it to different angles flexibly in order to absorb sunlight efficiently. Note: This product can only be charged via sunlight. 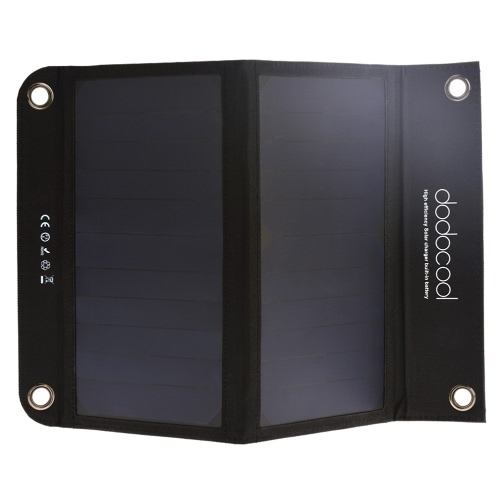 Expose solar panels to sunlight, self-charging will start and the red LED indicator will light up.